Are you a startup, trying to launch your product or service? Are you a startup, trying to figure out as to how to build your brand? If you have not looked at digital marketing, then it is high time to give it a serious thought. Digital marketing, as I have mentioned in my earlier blogs and columns, has the power to shake and dislodge traditional markets and enterprises. Start with a good digital marketing strategy. What does your product or service do? How does it benefit your customers? Who is your target audience; customer profile, demographics? What is the message that you want to convey? How do you wish to be seen amongst your audience – all stakeholders? How do you plan to measure the results, against the set goals and objectives? Once you are clear with the above, the next step is to get into the ‘execution’ mode. Now you can get the plans into action, in different phases of your startup. During the pre-launch phase focus on strategic positioning initiatives that includes target segmentation, content, differentiation, etc. Well before and during the launch phase, ensure that your product has been given a decent UI attention. Most techno-entrepreneurs build and the finally look at UI part which is like putting the cart before the horse. Today your stakeholders want ease and user friendly navigation of your products or services. Come up with a good blog strategy; create videos; and start to focus on Search Engine Optimization (SEO). How else can you determine what keywords are best suited for your business to drive that traffic? Have you optimized your website? Done sanity check for your site and is it free from errors? Is it mobile optimized (this is a bigger point in discussion right now, since Google updated it’s algorithm in terms of raking up pages/sites that are mobile friendly)? Have you set up Google Analytics and Webmaster tools? Are they integrated? Most importantly, your website content needs to be ‘relevant’. Today the context is relevance is critical for you to achieve your objectives in not only to drive traffic but also to ensure visitor engagement! You can create images and videos that can go viral and create a positive impact about your brand, your offerings, positioning, etc. Once your ventures are up and running, focus on continuous improvement in SEO along with SEM and SMM strategies. 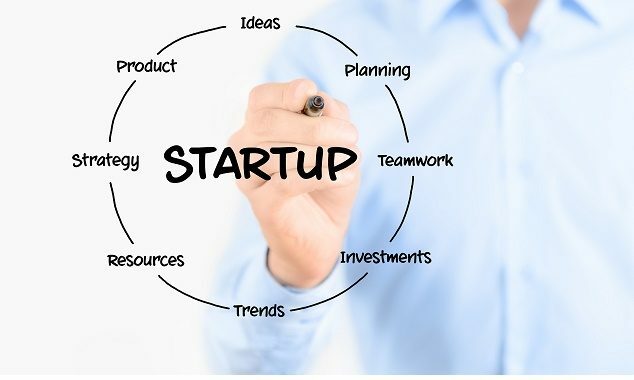 The previous strategies and techniques mentioned in the earlier phases need to be fine-tuned, if you have missed to use those in the earlier phases of your startup. There are cost effective ways to do online marketing, as marketing by itself can be a bottomless pit. Instead of spending a lot of money, do use free tools (like Google Analytics), trial versions, to build momentum in the early stages. These tools can even help you identify, target the right keywords to focus on which you can use in SEM to bring more quality visits to your website or application (app). Pick up intelligence from interesting blogs, articles, and you do not hesitate to pick those tactics, techniques, to try out in your venture. You need to build an effective content strategy in positioning your venture, your idea, and product/service. Either you can have a blog page in your website, or have a WordPress blog to bring in more followers. LinkedIn is also a good source to publish your articles and it is very effective for a B2B business. It has the power to exponentially connect with potential customers. Do not miss out on email marketing. Online marketing is a very powerful technique which can be done at very low cost. The key to the email marketing is the content. Make sure to churn out rich content and you will be able to establish thought leadership amongst your community. I have explained in detail about basics in digital marketing, and also how to use email marketing effectively in separate blogs. A smart digital marketing consultant, or a good digital marketing consulting firm, can help you pick the right strategy, walk with you in execution, to ensure that every penny that you spend brings out the best results for you and your enterprise. Digital marketing for startups is a must and cannot be ignored. I guess, having come to the end of this article, you might have gotten a fair idea as to what kind of digital marketing strategies and techniques that you can deploy and that too at various stages of your venture.